Thank you for your interest in sponsoring the work of Kingdom expansion in Kenya and beyond! Explore the options for giving below (or click titles for additional information). KDM is officially recognized by the IRS as a non-profit public charity and all donations are tax deductible under US 501(c)(3) guidelines. Donations will be used as specified or to meet the area of greatest need. Add a donation item to your cart below, then choose your checkout option (Electronic or Check) in your cart on the sidebar. A General Donation gives the ministry team the greatest flexibility to allocate resources to the area of greatest need. The Great Commission: Your donation to the work of Kingdom Expansion may be used to print and distribute Bibles or Kingdom Expansion resources; to fund outreach or discipleship meetings, baptisms, or other events; or to support the work of translating English Kingdom resources into Swahili for use in East Africa. The Great Commandment: We are just the hands and feet here in Africa; fulfilling Jesus’ great commandment to” love your neighbor as you love yourself” is possible because of the generosity of our partners around the world. With these funds, we provide food, clothing, clean water, orphan care, and medical care for our brothers and sisters and the needy in our community. You can earmark funds with a note if you wish. The Carriers have been in Kenya since February 2012. Marc regularly travels for regional evangelism and discipleship, plays a leadership and administrative role within the Kingdom Driven Ministries organization, and focuses on discipleship and leadership development within the local fellowships. Cindy meets regularly with women’s groups and, as the Lord allows, serves food, clothing, or medical needs within the community. 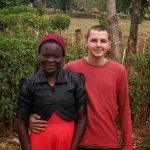 Isaiah Carrier, oldest son of Marc and Cindy Carrier, has been on the mission field in Kenya since 2012 and has been an active volunteer with KDM since earning his GED at age 16. Now approved for a 3-year work permit, Isaiah will continue to serve our various programs in any capacity needed. 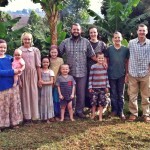 Glenn Roseberry actively ministers in rural Tanzania as well as in a growing network of house churches in Nairobi, Kenya. 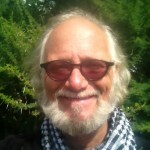 Glenn connects givers to recipients as he reaches out to serve and bless widows, the poor, and the needy with food, medical assistance, school fees, and gifts to jump-start sustainable businesses. Donations to Glenn may be personal or mission-related; you can earmark your gift with a note, if desired.